Geoinventions Consulting Services Pty Ltd (GCS) were contacted by BMD Constructions Pty Ltd (BMD) to provide design and assessment of the temporary working platforms and slope stability assessment for the Cattle and Frances Creek Bruce Highway upgrade. 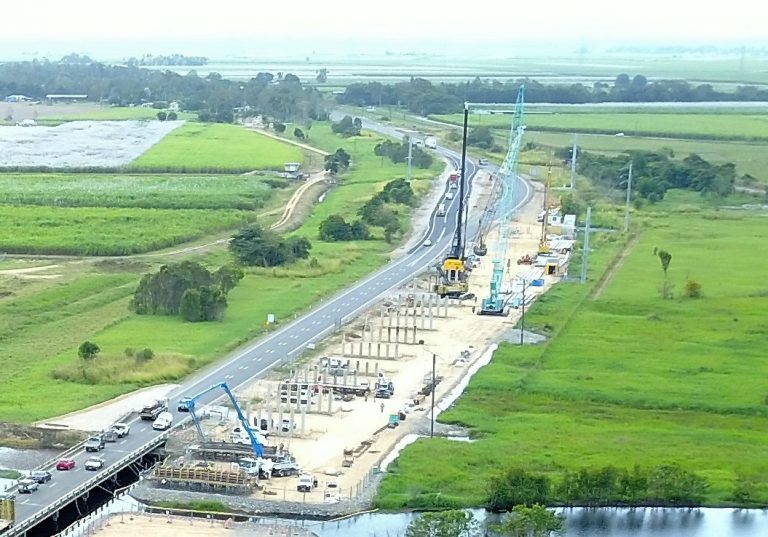 This project involves an upgrade of a 5.8km section of the Bruce Highway and replacement of the two bridges crossing Cattle and Frances creeks. The new bridges are to be 41m (two spans) and 644m long (28 spans) respectively. Soft ground was encountered at the site which necessitated temporary working platforms prior to piling operations, which comprised of driven precast octagonal piles. GCS conducted design assessment of the temporary working platforms to ensure sufficient ground bearing capacity for the proposed machinery. Platforms were required to accommodate the critical design load cases from piling rig and crane operations, which were up to 295kPa over a 900mm machine track width. GCS adopted an efficient and detailed design methodology to minimise the required platform thickness. A minimum platform thickness of 500mm was specified, and utilised locally sourced materials. This approach is cost effective and environmentally friendly, by using a reduced material volume and reduced emissions produced from material removal and transport. This optimised solution also reduces timeframe for the platform construction. In total, the platform construction and piling operations were conducted over a five month period. The entire project is expected to be completed in late 2018. 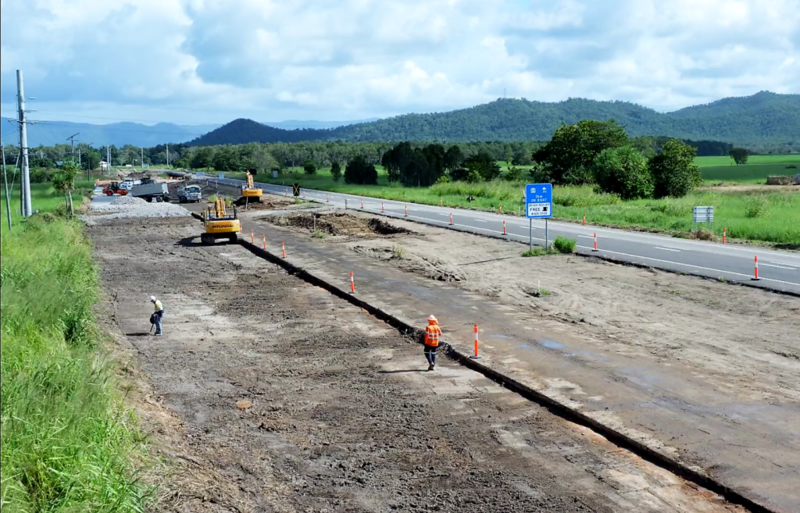 Upon completion, the new raised highway will ensure Hinchinbrook Shire residents have a safer and reliable road during flood and provide residents better access to employment and health services. The upgrade will also provide a better freight connectivity between Brisbane and Cairns.